Marouane Fellaini celebrates scoring United's 3rd goalMemphis Depay scored twice and created the other as Manchester United edged towards the Champions League group stages with a 3-1 win over 10-man Club Brugge. The Belgian side took an early lead through Michael Carrick's own goal. But Depay scored twice in the first half to put United ahead.Depay’s first was a composed low strike after some fantastic close control and the second was a curling 25-yard from just outside the box after cutting in from the left flank. 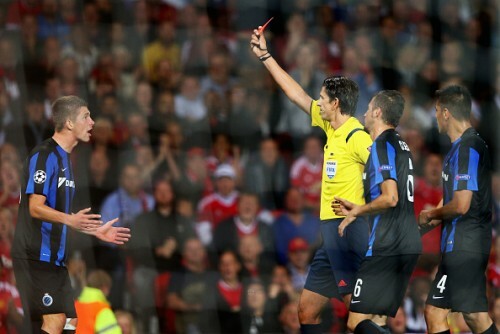 Brugge defender Brandon Mechele was sent off with 10 minutes to play after picking up two yellow cards and Marouane Fellaini headed home the Dutchman’s cross with the final kick of the game to seal a two-goal advantage going into the second leg next Wednesday.Here are the major talking points from the game. The barren midweeks of the last 12 months was quickly forgotten as the Champions League anthem was played out at Old Trafford for the first time since the quarter-final against Bayern Munich during the 2013/14 season. 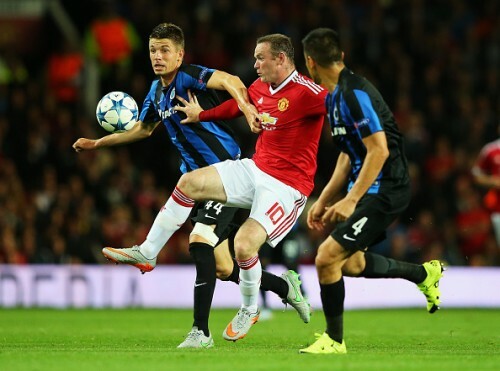 The 3-1 win over Brugge eased some fears, but the return of European football wasn’t as easy as many predicted. Despite the home side’s dominance, Michel Preud'homme’s side were unlucky not to have scored more than once in the first half. From the moment Carrick’s own goal went in, it was clear that this wasn’t going to be a dull, tight Champions League knockout tie. With both teams pushing forward and looking to score, the game was open and interesting. All those who were at Old Trafford were treated to an exciting and enthralling European tie under the Tuesday night lights. "I am little disappointed because I will think about that last chance." Those are not the words you expect from someone who scored a brace on his Champions League debut for his new club. Yet, that would be music to Van Gaal’s ears as he prepares to travel to Belgium next week for the return leg. 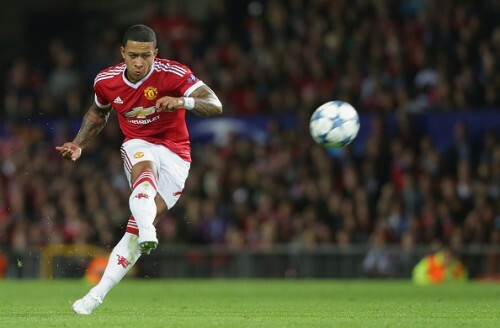 In Depay, not only does he have a player whose presence lights up Old Trafford, but also a youngster with an abundance of self-belief and a desire to improve. After an unspectacular start in the Premier League, where he was substituted in both games, Depay delivered the kind of performance that the Red Devils were used to from their No.7. His first goal, in which he flicked the ball over the defender’s head and dribbled into the box before finally shooting from near the penalty spot was the embodiment of not just the skill, but also self confidence that the 21-year-old has. While he still has a long way to go before being mentioned in the same breath as Cristiano Ronaldo, United’s last great No.7, he looks like he can bring joy back to the supporters at the Theatre of Dreams. Despite missing four important players, Michel Preudhommes side showed early on that they were no shrinking violets and werent going to be overawed by the occasion. Although Old Trafford, isnt the fortress that it once was, it is still a place where many sides come to defend and are happy to cede the initiative. But Brugge were anything but defensive and while the opening goal was fortuitous, it was nothing more than they deserved for their positive approach to the game. Yet, for all their positivity they came away from the game with what looks like a mountain to climb at home, without their inspirational skipper and best central defender who was sent off with 10 minutes to go. They say you live and die by the sword and that was certainly the case here. While the Belgian side did attack with plenty of purpose, the longer the game went, the more exposed they became and it was only a matter of time before United scored another goal. But instead of criticising them for failing to hold on to the 2-1 score line, they must be applauded for trying to stay true to their beliefs and being positive. Because, not every side does that, especially at Old Trafford. Against Brugge, Chris Smalling had one of his best games for United yet and alongside him, Daley Blind looks to be settling into the role of a central defender effortlessly. Although the pair are developing a solid understanding, one can’t help but wonder why Van Gaal hasn’t brought someone in, to provide them some competition. With Phil Jones looking like he is just one game away from another injury and Marcos Rojo as the only other senior central defender at the club, the Red Devils lack depth in central defence. Not just at the back, but also up front, United could do with a bit more variety and support for Wayne Rooney, who still doesn’t look as though he is enjoying the added responsibility of being the side’s main striker and the club’s captain. With two weeks still remaining in the transfer window, the Dutchman still needs a few more options, if the club are to challenge for honours on all fronts. 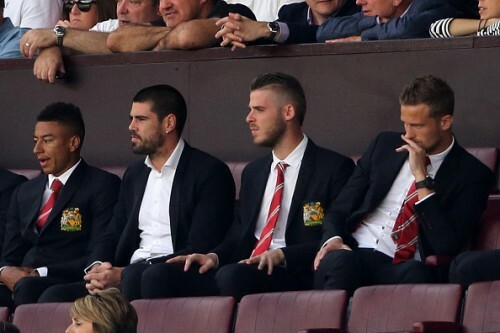 There was a moment, right after Sergio Romero dallied too long on the ball and was lucky to not to concede a goal, when the cameras panned to the stands and you saw David De Gea and Victor Valdes sitting next to each other, and thinking to themselves, “I can do much better than that.” And therein lies the problem for United this season. For all the optimism surrounding Depay’s display, the new-found confidence in defence and solidity in midfield, the most important position on the pitch still remains up in the air. If you want to compete for honours, both domestically and abroad, you need to have a world class keeper. Despite keeping two clean sheets from his opening two games, Romero’s performance on Tuesday, which was the first time he was properly tested, doesn’t inspire much confidence. His distribution wasn’t great and he didn’t have the aura that top keepers have. Irrespective of whether De Gea stays or goes, one thing is certain, Romero isn’t good enough to be a Manchester United No.1.